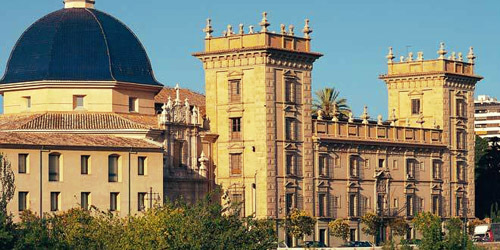 It is located in an unbeatable location. 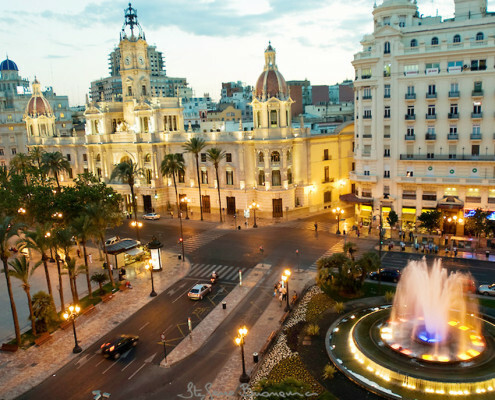 It´s climate, with over 300 days of sunshine a year, has become one of the most popular destinations. 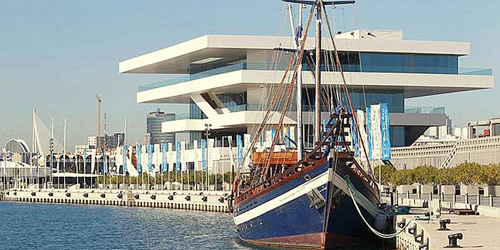 With the modern infrastructure it makes it an important landmark in our country. 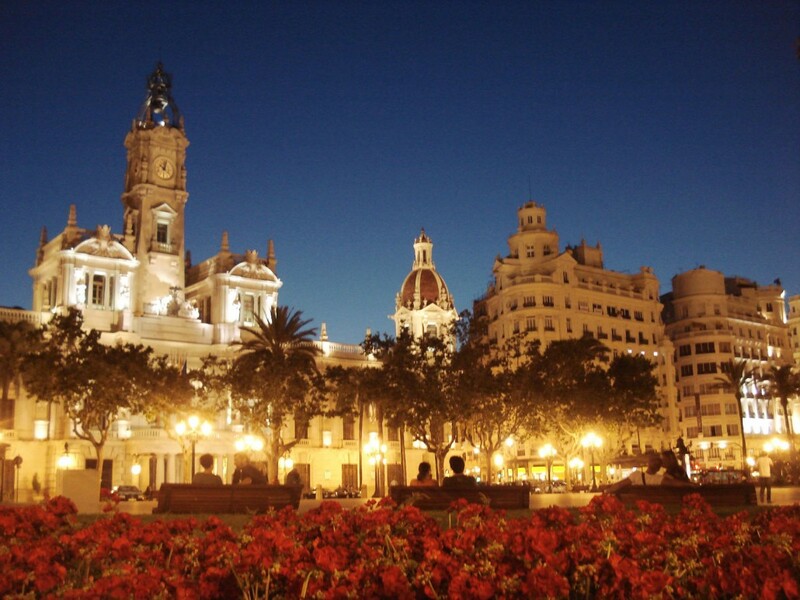 Scientific, financial and technological city, offers a wide culture, leisure and gastronomy. 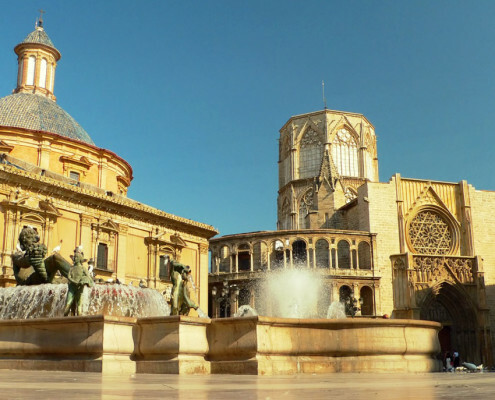 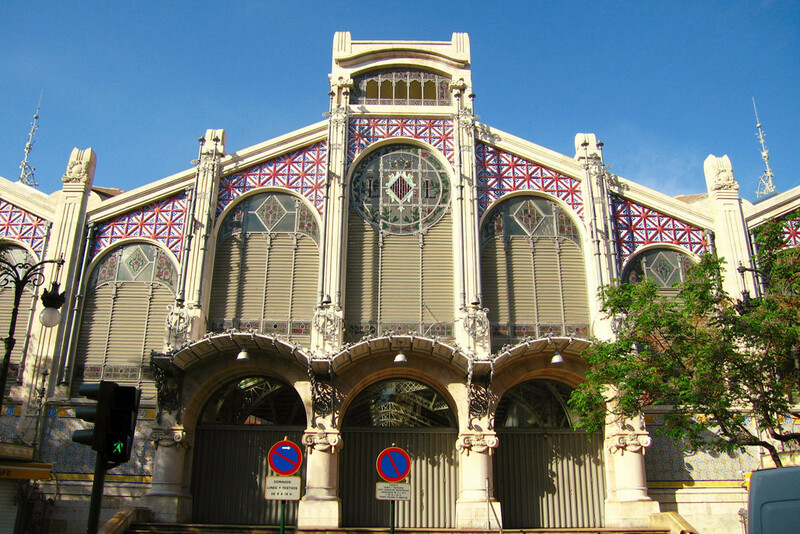 In the City hall Square of Valencia and surroundings, you can find the North Station, the Bullring, the City Hall, the Post Office or Plaza Redonda. 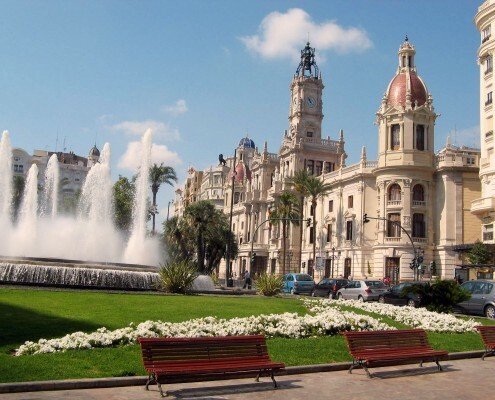 Las Fallas is the most important event in the city, is celebrated for San Jose, during these days the streets are full of people, who come to see the exhibition of the Ninots, puppets representing figures of today and are burned then. 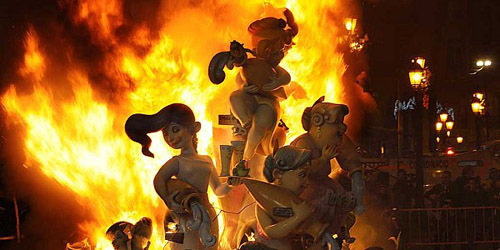 Las Fallas in Valencia starting with Cridà and 19 March produces La Cremá, where different Fallas monuments are burned. 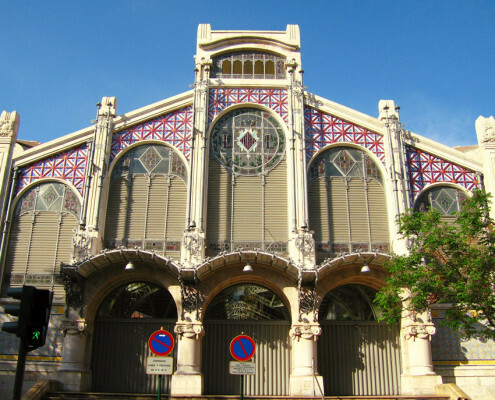 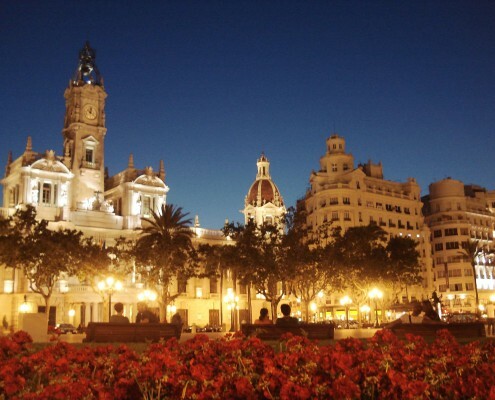 It is the most popular neighborhood in the city of Valencia and is located in the old town. 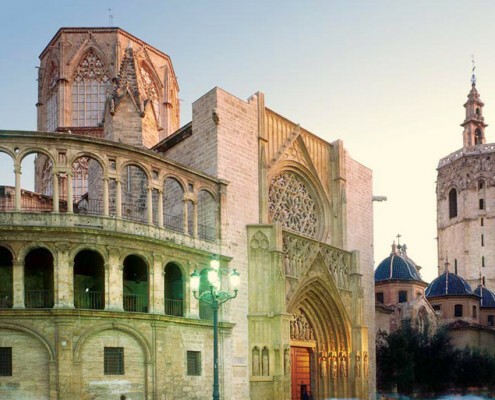 In the neighborhood of Carmen we can find Torres Quart, Torres de los Serranos, the Cathedral of Valencia, Lonja of Valencia and Central Market. 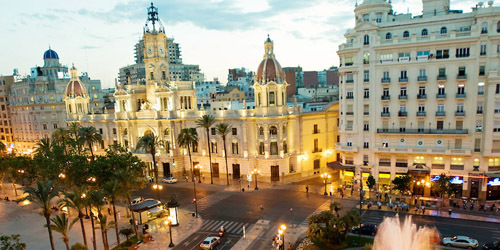 In the Barrio del Carmen you can find a number of restaurants and other entertainment places. 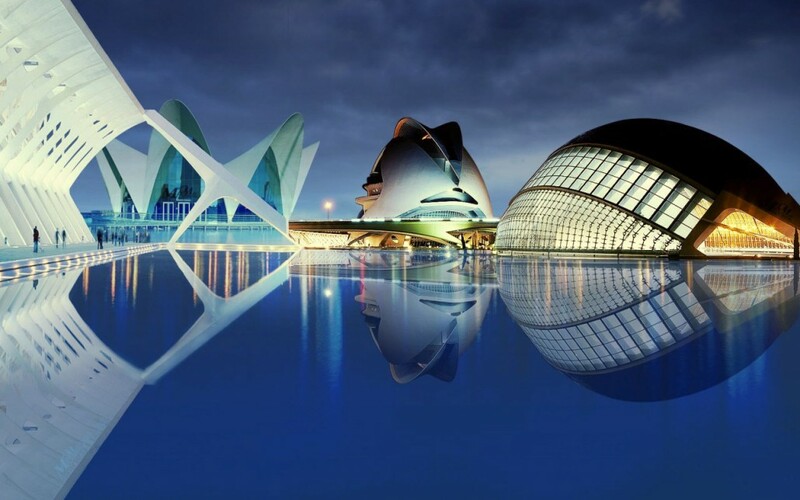 City of Arts and Sciences is an assembly of the Umbracle, the Science Museum Prince Felipe, Oceanogràfic, Hemisfèric, Palau de les Arts Reina Sofía and Ágora. 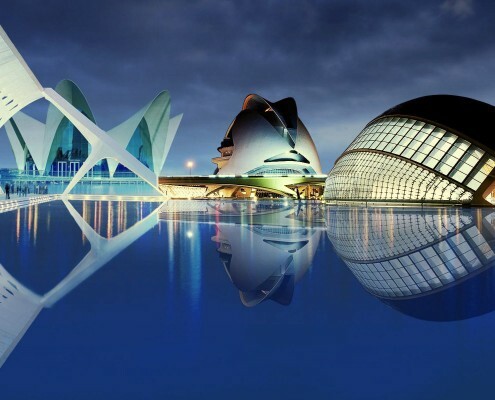 Must see in Valencia, ideal for visiting in family and discover their different buildings related to science, art and technology. 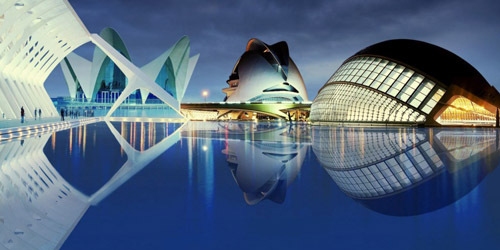 The architects of the complex are Santiago Calatrava and Felix Candela, who designed the complex to give a spectacular and unique design. 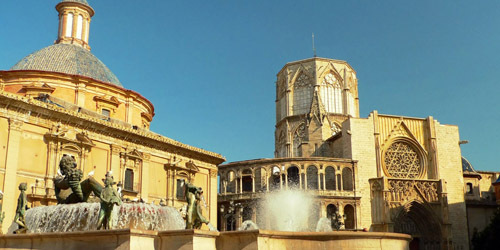 Valencia offers to all visitors a wide variety of museums, among them are: the Fallas Museum, IVAM, National Museum of Ceramics, Chirivella Soriano Foundation, L`Almoina, Museum of Fine Arts in Valencia (St. Pius V), Museum of Natural Sciences, Cathedral Museum, Museum of Valencian Ethnology, Bullfighting Museum and the Center of Carmen among others. 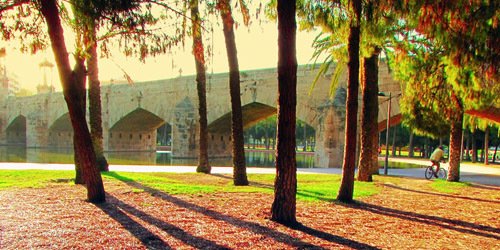 Great walk along 9 kilometers on the banks of the River Turia, which leads to the City of Arts and Sciences. 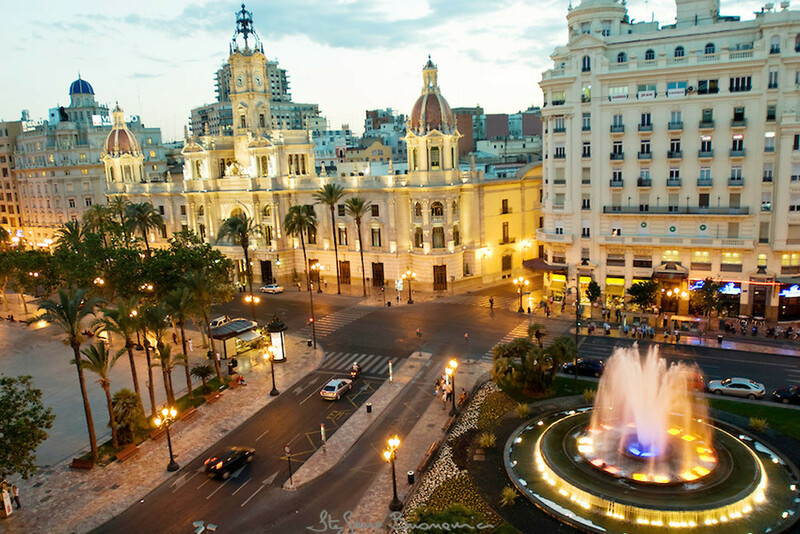 Ideal for sports or simply to take a walk. 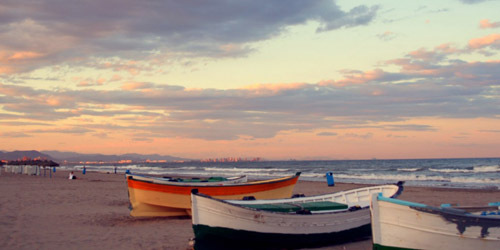 It is the best beach in Valencia. 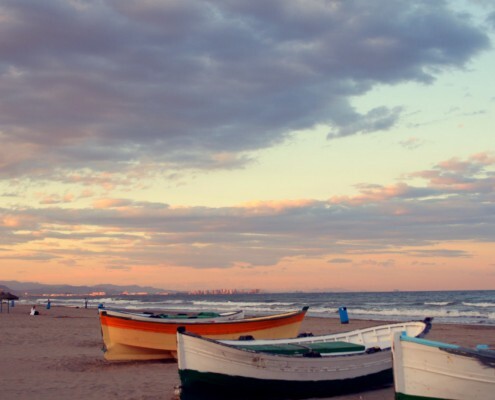 The Malvarrosa Beach is a major tourist attraction of the city, thanks to its good weather, you can enjoy it most of the year. 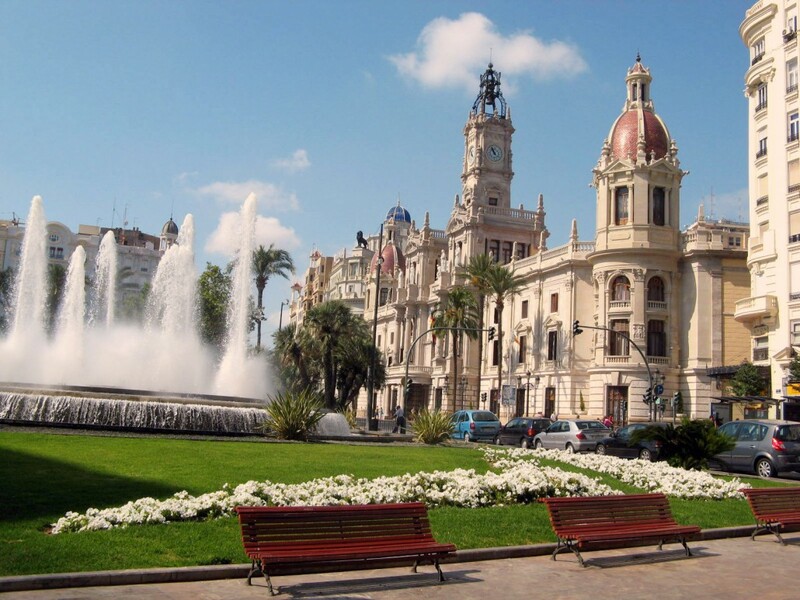 The area of Malvarrosa is ideal to take a walk and also enjoy a good paella in one of its many restaurants. 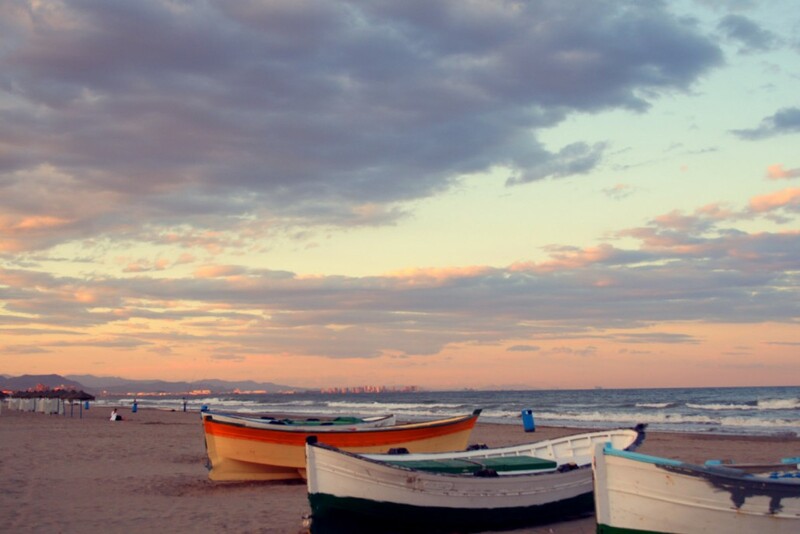 Other highlight beaches are beach Saler or El Cabanyal. 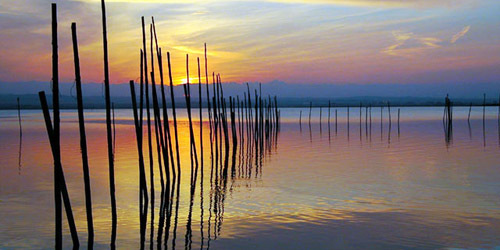 The Albufera is a large natural area in Valencia, located just 10 minutes from the city of Valencia. 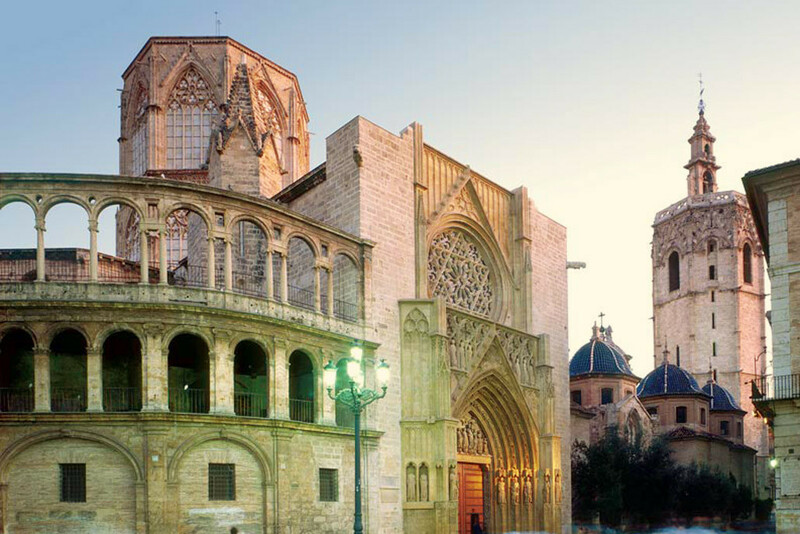 It provides a basis for understanding the origin of the Valencian cuisine. 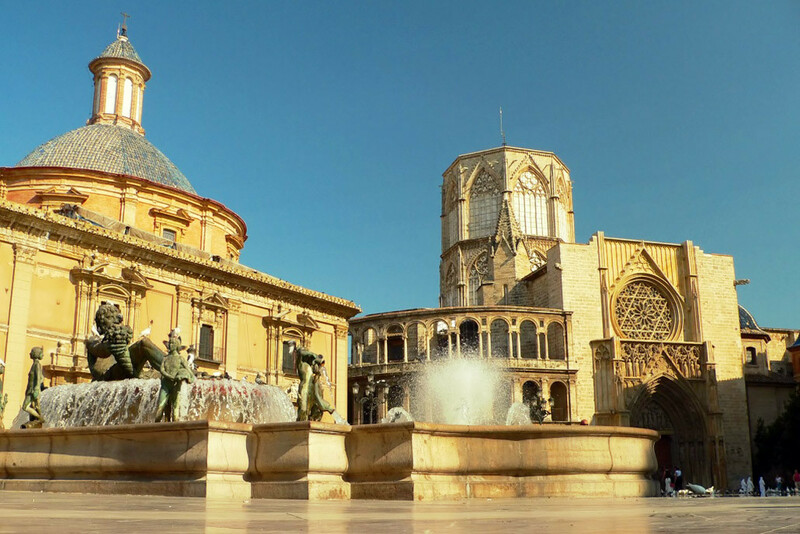 Other attractions in Valencia are the Virgen Square, the Miguelete, the Basilica of the Virgin, the Almoina, the Marina Real Juan Carlos I, the building of the Clock, the Sheds of the nineteenth century, the building Veles e Vents, the Mestalla football stadium or the Water Court, declared World Cultural Heritage by UNESCO.